Deutsche Telekom is the first telecommunications company in Germany to halve the size of the holders in which SIM cards are sold. 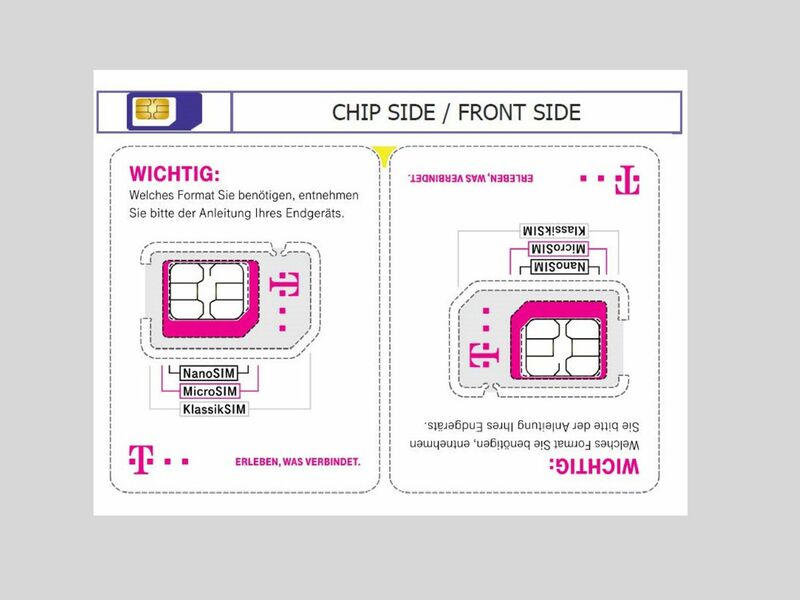 An important contribution to efforts to cut plastic waste – Deutsche Telekom introduces half-size holders for new SIM cards. This step alone will cut plastic waste production in Germany by 17.5 tons this year. "Deutsche Telekom is the first telecommunications company in Germany to make a conscious effort to reduce plastic waste in this area," noted Melanie Kubin-Hardewig, Vice President Group Sustainability Management. The new format will be used for prepaid and postpaid cards of Deutsche Telekom, of the company's congstar brand and of various wholesale partners (Talkline, HIGH, klarmobil and others). The brands of the Group's Telekom Deutschland Multibrand GmbH subsidiary (including FCB Mobil and Lifecell) made the change in 2018. The first prepaid SIM cards in the new half-size holders were issued last year, in the framework of a first cooperation project with partners EDEKA and World Wildlife Fund. "Since the 1990s, new SIM cards have virtually always come in holders that are about the size of bank cards. So we wondered if those holders really have to be so big," explained Philipp Mertens, Managing Director of Telekom Deutschland Multibrand GmbH. "And it turns out that they don't – the same amount of plastic can hold two SIM cards." By the end of 2018, some 3.8 tons of plastic waste was avoided, as cards with the new holders were sold for the "EDEKA smart" plans, and as Multibrand partners, including Lifecell and FCB Mobil, made the change as well. "That figure really impressed us, and we realized that we can do even better. Then, in December of last year, we also converted the holders for our own brand's prepaid cards to the new half-size format," Mertens explained. Once the company has sold out its remaining stocks of cards in the older, larger holders, only SIM card holders with the new half-size format will be issued.